Inspired by cutting-edge interior design, the brand new Ultimate Design cushion flooring collection by Avenue Floors is set to add a chic and contemporary feel to on-trend homes up and down the country. Comprising a diverse array of 20 modern styles that include stone, tile and wood look decors, Ultimate Design will appeal to a wide range of tastes. Those preferring the dramatic tones of dark grey and midnight will be naturally drawn towards floors such as Barcelona D in jet black and the clean lines of Morgane tiles in grey, while those with earthy and neutral design tastes will be more than satisfied with the subtle stripes of Marloes in brown and the authentic wood appearance of Noblesse. Providing exceptional practical benefits such as durability and ease of maintenance as well as ensuring lasting good looks thanks to a dirt-repellent PU lacquer finish, Ultimate Design is suitable for heavy domestic use and is capable of standing up to the demands of even the busiest of homes. Available in two, three or four metre widths, it is the ideal range for rooms both large and small. “Ultimate Design is the latest offering from the extensive Avenue collection and it is something that we are very excited about,” comments Victoria Hemelaer, product manager, Avenue. “Inspired by the latest interior fashions, the collection will allow retailers to offer customers pioneering styles combined with the superb value that our floors are famous for. 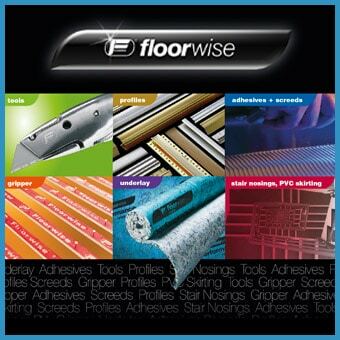 Ultimate Design floors are supplied with 10-year guarantees to ensure peace of mind and also come with a dedicated and eye-catching point of sale unit to entice shoppers right from the start.